TMS CADCentre is the only Scottish owned Autodesk reseller who provides CAD software solutions for the AEC market using industry standard products from Autodesk. The CADCentre was opened in 1985 to focus on the emerging AutoCAD based computer aided design market specialising in architecture, engineering & construction. Learn more about Autodesk BIM solutions for building design from the experts at TMS CADCentre. We provide software, training and support for Autodesk Revit BIM-based design and documentation, including AutoCAD software, Autodesk Navisworks for collaboration, and 3ds Max Design for compelling visualisations. 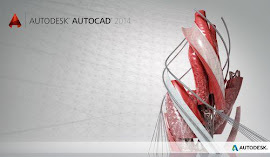 Autodesk Building Design Suite provides a comprehensive portfolio of building solutions for both CAD and BIM workflows—giving architects, structural, civil & building service engineers and contractors the capability to create design information and compelling visualisations in one flexible, cost-effective package. TMS CADCentre is a division of Thom Micro Systems Limited (TMS) - a company registered in Scotland with company number SC075023. The company began trading in 1981 and have been providing IT solutions to small and medium enterprises in Scotland and the UK ever since.